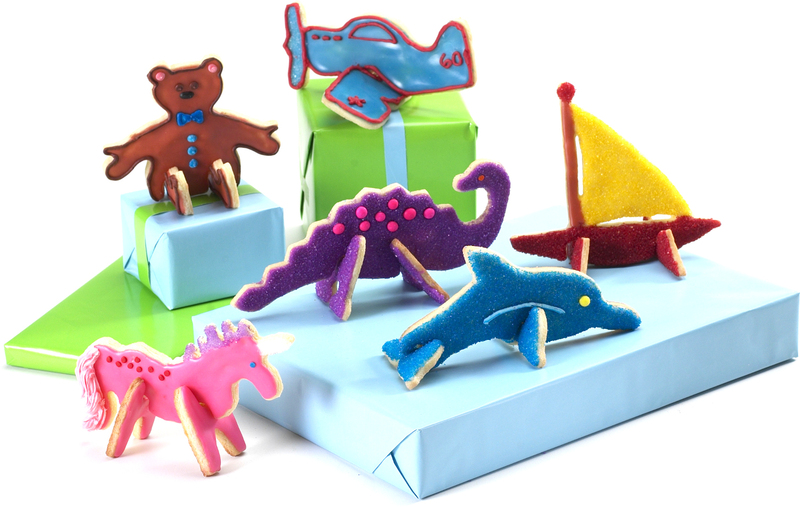 Create life-like cookies with this 3-D party cookie cutter set from Nordic Ware. People of all ages will love how uniquely shaped and original your cookies are when you bring them to birthday parties and other celebrations. 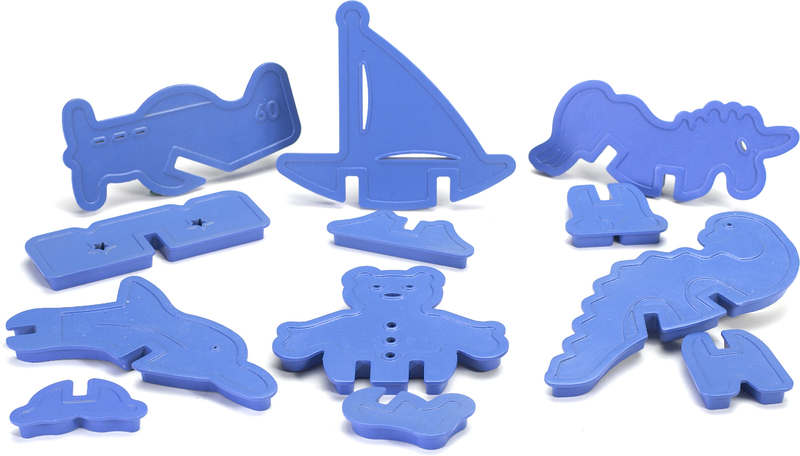 Fabricated from blue plastic, this set comes with two pieces for each cookie that, when placed together, make a fun shape that stands up. Made in the USA, this set includes cookies cutters that form a teddy bear, an airplane, a unicorn, a dinosaur, a sailboat, and a dolphin.